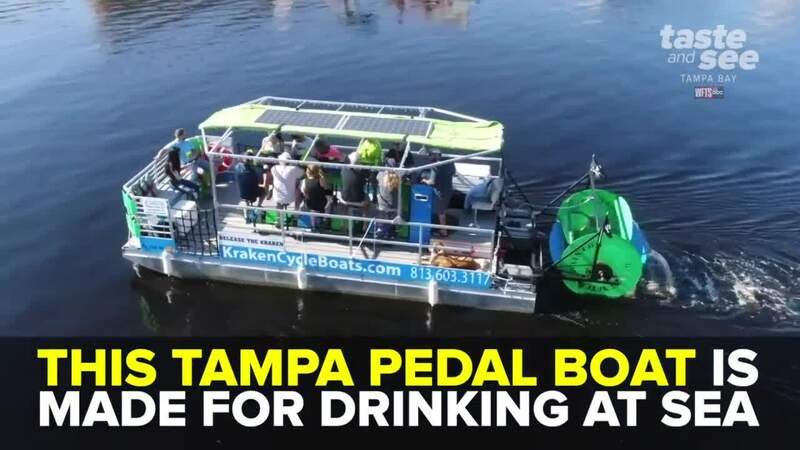 ⛵ PEDAL PARTY BOAT 🍺 Drink with your friends and cruise around Tampa Bay on Kraken CycleBoats! Launching in Downtown Tampa, these easy to pedal boats provide the perfect venue for birthday parties, bachelor(ette) parties, team building/work events, and weekend get-togethers with friends and family. Tickets start at $35 a person. Click here for more information.